Valley Regional Hospital in Claremont has become the only Alpha-1 Clinical Resource Center in NH. Alpha-1 antitrypsin (AAT) deficiency is a condition where the body does not make enough of a protein that protects the lungs and liver from damage. The condition can lead to emphysema and liver disease. Valley Regional Healthcare was designated as an Alpha-1 Clinical Resource Center by the Alpha-1 Foundation. Dr. Donald Mahler and his team were invited to apply to the Alpha-1 Foundation to be a Clinical Resource Center due to their work in this field. The hospital has diagnosed four patients with Alpha-1 deficiency emphysema in the past 18 months thanks to diligent testing of all of patients with COPD who come into the Kane Center at the hospital. 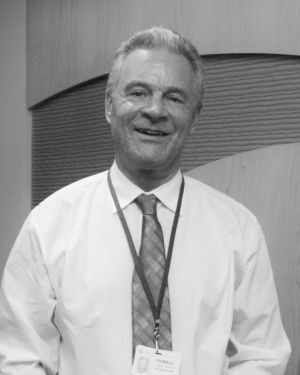 Dr. Mahler was Director of a Clinical Resource Center while at Dartmouth-Hitchcock Medical Center in Lebanon, until his retirement there in July 2014. This entry was posted in community, Health, hospital, news, NH on September 29, 2016 by GrowingInArt. 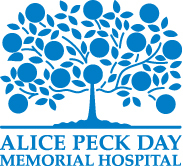 Alice Peck Day (APD) Hospital is offering over 800 children free re vaccinations after a problem with refrigeration was discovered. Officials at APD said in a press release that they could not guarantee that all pediatric vaccines given from September 2, 2014, to October 23, 2015 are effective since the vaccines require constant refrigeration within a particular temperature range in order to maintain effectiveness. Hospital officials are offering to revaccinate affected patients at no charge. Further information, including answers to frequently asked questions (FAQs), is available at APD’s website (www.alicepeckday.org) or by calling a staff member dedicated to answering questions about this issue at (603) 442-5610. Appointments for revaccination can be scheduled by calling (603) 442-5602. This entry was posted in Health, health care, hospital, news, NH on January 14, 2016 by GrowingInArt. alA State inspection at Mount Ascutney Hospital in Vermont revealed numerous lapses in patient care and record keeping practices. According to the Valley News and Becker’s Hospital Review, the Dec. 9 inspection showed the hospital failed to take adequate measures to prevent a terminal cancer patient from falling six times in six weeks and did not document four of the falls. The hospital also failed to determine the risks of a fall in a stroke patient and failed three times to document the need for restraints. A third patient incident in the report said the hospital did not put a care plan in place according to the wishes of the patient admitted in November who was treated for heart failure. Nothing in the care plan indicated the patient was transitioned receive only comfort measures during his final days. Mt. Ascutney Hospital has made a plan for correction. Under the plan, the hospital has committed to beefing up care planning, assessments of patients’ fall risks, training and record keeping when falls occur or restraints are used. This entry was posted in Health, health care, hospital, news, vermont on January 11, 2016 by GrowingInArt.